Finding a leak in your roof is quite troublesome especially when it is after a previous flat roof repair it is even more complicated. The leak is often discovered elsewhere than at the start of the leak. It can be hard to detect the origin of a leak even if it rains. Therefore, you need to look for watermarks, discoloration or stains present in the attic. Take advantage of the light. Watch for daytime leaks. To trace the stains and marks, use a bright flashlight. If you want, you can go up in the attic when it rains outside to follow water flow. Start working backward. It's rare for the leak to come directly. Water passes through a path to a vulnerable place to drop. Use water. Ask a friend to go up the rooftop with a garden hose when it is clear outside. Let your friend work systematically on the area and of course one area at a time. DIY is not always suggested for flat roof repair. If you try to repair it by yourself, you might void your roof warranty. An older roof could accrue even more damage from unskilled repairs. You might create an even more significant problem if you don't know what you are doing. Steep roofs are also very dangerous. 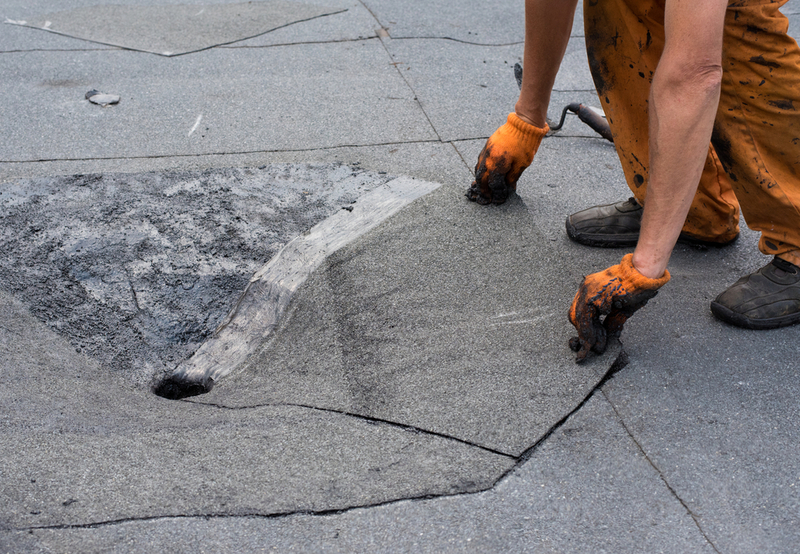 Most homeowners have inappropriate tools, or even lack the ability to repair a roof correctly. It is better to summon a professional to ensure the work is done in the right way. Preferred Roofing has years of experience on roof repair and to protect your roof we are always ahead of other roofing companies in OKC. Allow us to protect your roof from leaks as the home is your most significant investment of a lifetime.